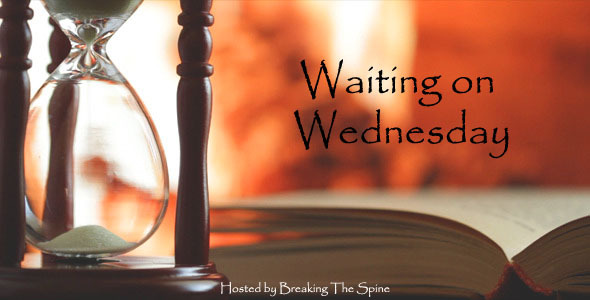 Waiting On Wednesday is a weekly event hosted by Breaking The Spine that spotlights upcoming book releases that I’m looking forward to. My WOW postings won’t be weekly, but they’ll come on Wednesdays when my blogging schedule is open and when I add a yet-to-be-published book to my wishlist. 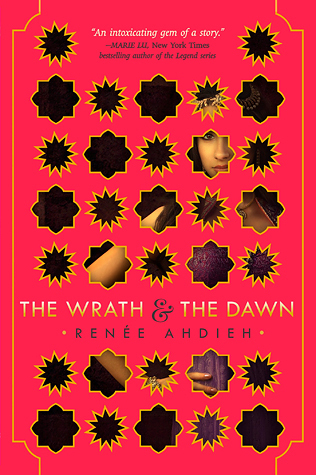 This Wednesday, I’m waiting on The Wrath and the Dawn, the debut novel by Renee Ahdieh. I learned about Renee and her book from Amy Trueblood’s Writer Odyssey Wednesday series at Chasing The Crazies last November. (Click here for Renee’s article.) When I read the words “a re-imagining of The Arabian Nights,” my first thought was, “What?! I MUST read this! !” I have no idea if The Wrath and the Dawn is going to be more of a historical fantasy with little to no magical elements or an Aladdin-esque high fantasy (which would be awesome!). Either way, this sounds like something I might enjoy. YA fantasy fans who are looking for more cultural diversity in their reading should put this on their wishlist, too. Every dawn brings horror to a different family in a land ruled by a killer. Khalid, the eighteen-year-old Caliph of Khorasan, takes a new bride each night only to have her executed at sunrise. So it is a suspicious surprise when sixteen-year-old Shahrzad volunteers to marry Khalid. But she does so with a clever plan to stay alive and exact revenge on the Caliph for the murder of her best friend and countless other girls. Shazi’s wit and will, indeed, get her through to the dawn that no others have seen, but with a catch: She’s falling in love with the very boy who killed her dearest friend. She discovers that the murderous boy-king is not all that he seems, and neither are the deaths of so many girls. Shazi is determined to uncover the reason for the murders and to break the cycle once and for all. What book(s) are you waiting on this Wednesday? Are you also looking forward to The Wrath and the Dawn? EDIT: Comments have now been enabled. Sorry about that! ← Guest Post by Alex Hurst: What Can Traditional Publishing Offer Authors? I love reimaginings. I can’t resist them, and I’ve been looking for YA books to get me out of my slump with them. There’s only been a handful I’ve managed to enjoy lately. This will be interesting. I’m actually in the middle of reading The Thousand Nights and One Night (The Arabian Nights) and it’s intense! Unfortunately, the forward warned me that Aladdin and the Tales of Sinbad were all made up by a French translator who was trying to “jazz it up”…. wonderful stories, both of them, and now, no wonder western audiences ate them up… but the books are wonderful in their own right! This retelling is interesting… I’d like to see how a woman could fall in love with a murderer! You know, I’ve never actually read the original Arabian Nights. *embarrassed* I should do that at some point! I’m currently reading ‘Touch’ by Claire North… a really exciting, different read, where the protagonist takes on the body of whoever he touches. I don’t read much science fiction, but in the past week I’ve read two extremely positive reviews for “Touch,” so I’m strongly considering reading it. Are you planning to review it at your blog after you finish it? Yes! It’s a cracking read. She’s an awesome author. Have you read any of the Matthew Swift series, or Magicals Anonymous? This interests me! I think I’ll wait until you read and review it first. 🙂 But from the description, it sounds good. I do want to read this one! I love retellings, and you don’t see The Arabian Nights done that often. Great pick! This sounds amazing… I’ll be adding it to my list of retellings to pick up when it’s published, along with The Palace of Illusions by Chitra Banerjee Divakaruni and UKL’s Lavinia! Jenn, I read Lavinia a couple years ago, and I adored it. It’s probably one of my favorite novels by UKL. Enjoy! And thanks for stopping by! Hey Sara! “The Wrath & the Dawn” looks really neat! I don’t think it’s what I would normally read, but it’s good to branch out every once in a while (or a lot) 🙂 This novel sounds super action-packed like a thriller, and also terrifyingly intense in the best way possible. Thanks for sharing it with us! By the way, I’m hosting a chapter critique giveaway on my blog as part of my A to Z journey! I’m really excited 🙂 Would love for you to enter and be a part of the fun 😀 You can find it on my blog under ʺG is for Giveawayʺ – don’t forget to use the Rafflecopter form! I did see the “G Is For Giveaway” contest on your blog. Thanks for thinking of me. 🙂 Unfortunately I’m not ready to enter; TKC’s first chapter needs some serious revisions before I’d feel comfortable letting people read it. But I’ll make a point to spread the word about the giveaway! This is on my list! I got access to it from First to Read recently so I’ll be reading it soon, and I hope it will be as good as the description makes it sound. It’s different from what I normally read too, but it sounds interesting enough that I’m willing to give it a chance.